15 mars 2010 | In Books parenting | Comments? This book (point omega, by Don Delillo) will stand out in my memory for one reason in particular: it’s the first book we finished together. Over the last few nights, I’ve been trying to lull Benjamin (Young Sir) to sleep in his own bed, by reading it out loud to him. It hasn’t worked as intended, but for each day he becomes more contented just lying there, listening, smiling and waving when I raise my eyes from the page. Patently not bored. (We did a few nights of ”The House of Wits” to, but 693 pages read out loud means a long wait for closure, not suitable for infants). 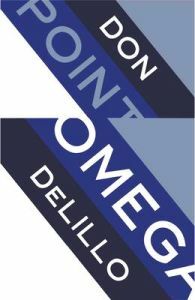 Point Omega is very recognizably Delillo, with the questions without question marks and the penchant for situations when time slows down and something therefore becomes, you know, art, somehow. You pick a situation, at random or with great care, and you attend to it, as you might so easily not have done. Even when the events that unfurl are very dramatic indeed (the Kennedy-assassination, post 9/11 New York, disappearances and violence), what happens is almost never what matters. And he has a way with sentences.